Pink Sands, NYC. Individuals can lose an average of 2 inches in the first 1-hour session using our potent and efficient NuShape technique. A healthy diet and exercise program for several weeks are advised after treatments. It is best to commit to 2-3 weekly appointments during your program. Infrared saunas, foot baths, acupuncture, whole body vibration and lymphatic massage can further enhance your overall results. Recently, the technology of Red Light Therapy has greatly impacted the way to reduce fat and both tighten and rejuvenate skin. The safety and effectiveness of this hi-tech therapy have been analyzed and approved by leading research organizations including the acclaimed Mayo Clinic and NASA. Invasive surgery, needles, incisions and recovery time are eliminated. The red light depletes and reduces fat cells while also tightening and smoothing your skin, adding new collagen and elastin. This red light technology is thoroughly non-invasive, has never shown any recorded side effects, and clients do not experience any unpleasantness during the process. Infinity Sun Multi-Treatment System, at Pink Sands, is known as the Rolls Royce of safe-sunless tanning to many A-List celebrities. 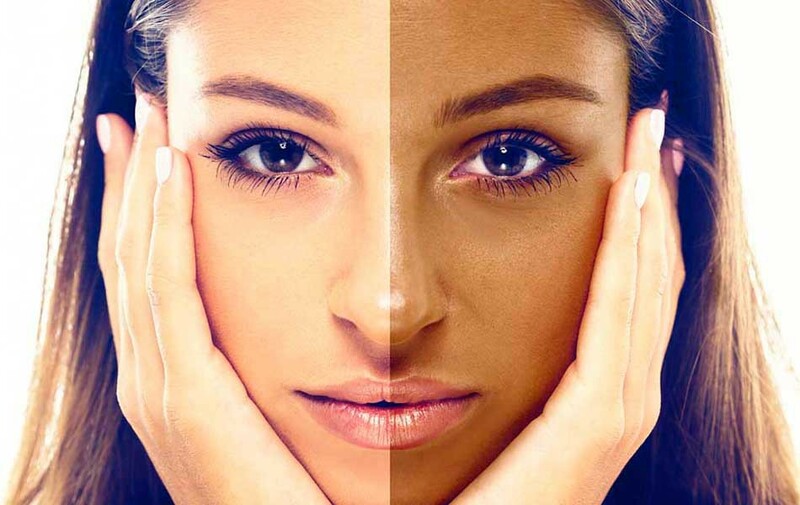 The Ultimate Eco-Friendly Spray Tanning System: Infinity Sun is the only carbon neutral sunless tanning company. Pink Sands Airbrush Tan & Salon wants you to have a safe and enjoyable sunless experience! We use strong backdrop exhaust venting and a ceiling vent for overspray in each room. We provide complimentary eye-wear, nose filters and offer a variety of lip balms for sale at the counter.